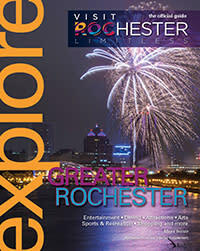 Why wait for a Visitor Guide to be mailed to you? Click here to get it now! Need a Map? Click here to access our printable area maps. Plus, we&apos;ll be getting out and about with our mobile welcome center at area events and festivals throughout the year.